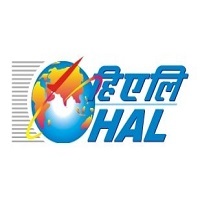 HAL Jobs Recruitment Notification 2019.Hindustan Aeronautics Limited, HAL inviting applications for the positions of Accounts Trainee.Interested and Eligible candidates can apply for the positions. 1. Qualification : Applicants must have possessed SSLC/ Diploma/ Bachelor degree from recognized board or university., However check the notification to know more details about educational qualification. HAL Corporate Office, 15/1 Cubbon Road, Bangalore 560 001. HAL will conduct written test for selection of suitable aspirants. 2. Go to official website hal-india.co.in. 3. Find the advertisement for Trainees posts. 4. Click on the advertisement, notification will open read it and check eligibility. 5. Download the application form then fill up the form correctly. 6. Send it to the given address before the last date ends.